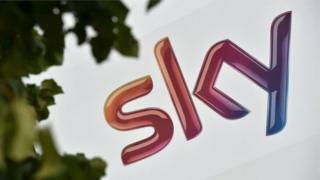 Sky has threatened to shut down Sky News if the news channel proves to be a major obstacle in its takeover bid by Rupert Murdoch's 21st Century Fox.Regulators are investigating the deal amid concerns that Mr Murdoch's media empire could become too powerful.Sky told the Competition and Markets Authority (CMA) that the regulator should not assume "the continued provision" of Sky News.BBC media editor Amol Rajan said it was a "credible threat".In a submission made to the CMA last month, but published by the regulator on Tuesday, Sky said it "would likely be prompted to review" its position if "the continued provision of Sky News in its current form unduly impeded merger and/or other corporate opportunities available in relation to Sky's broader business". This would particularly be the case if shareholders objected to the merger not happening, Sky said in its submission.The BBC understands that closing Sky News would only be an option of last resort, and that Sky would try to find a buyer for the media company before that eventuality. But our media editor said Sky could go through with the closure due to "the sheer amount of time this proposed merger is taking to go through" - it is six years since Fox first put in a bid.He added that a second "and maybe more pertinent reason is the fact that Sky News loses an awful lot of money. ""It employs hundreds of journalists, it produces world-class material, but it loses tens of millions of pounds, and I think the independent directors of Sky are sending a very clear message... that if they had to choose, maybe they'd prefer for commercial reasons to do the deal with 21st Century Fox rather than continue to fund the losses at Sky News." Probe into Murdoch's Sky bid confirmedWhat are the issues in Fox's Sky dealFox has faced a number of hurdles in its bid to buy Sky, including the CMA investigation and opposition from some politicians.Fox owns 39% of Sky but wants full control of the satellite broadcaster.But some fear it would give Rupert Murdoch's family too much control over the UK media.Mr Murdoch's News Corp owns The Times and The Sun newspapers.Sky News, which has been broadcasting for 28 years, is an influential, 24-hour, international channel.